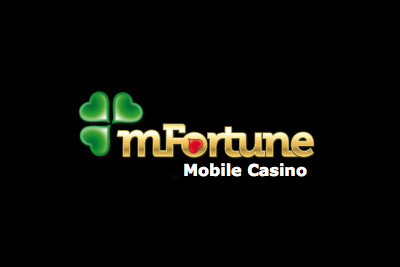 Exclusively made for mFortune Casino, don’t underestimate these mFortune slots for mobile. Full of surprises, and practically unbreakable, they are perfect for Android, iPad and iPhone players. Launched in 2007 as a UK casino, the mFortune casino games have only continued to grow. Though you can only play using GBP or EUR as a currency, you can download any of their slot apps from pretty much anywhere in the world; whether you live in Australia, Canada, Sweden or somewhere in between. Why bother? Because their mobile slot games have a unique style and game play that is perfect for playing on the go. From cute animation keeping the reels lively, to having to shake your phone during bonus features, each of the mFortune mobile slots offers something unique. And whilst they might not all offer huge wins, they almost always offer entertainment. Best of all, you can take a phone call, and get back into the slot machine without every losing a beat, or a spin. Plus all mFortune new games come with a £€8 free no deposit bonus for new players to try them out for risk free and the best part is you get to keep what you win. When we first came across the mFortune casino site, our biggest worry was that they create their own slot games. Yes, what is now a huge advantage was, at first, our moment of suspicion. Reasons being, the likes of Williams Interactive and IGT have to license their games to thousands of online casinos. It means they have to go through very strict rules to ensure their games are as fair as possible, especially as they will have such a diverse range of players. That said, the mFortune slot machines have a secret weapon. Namely they were the first to have all their games licensed by the UK Gambling Commission. That was before it was made into law that every UK casino needs a license. And if there is one thing Great Britain takes seriously, is fairness and gambling. Probably because it’s been calculated that 2 thirds of the adult population will gamble at some point during the year. And not just in terms of fairness. Also in terms of game play. That’s not to say all the games are great. Some aren’t. But then, same could be said about any slot software provider. Even NetEnt have a few dud slots. This is a love or hate deal for many. Basically, once you go to the mFortune casino on your tablet or mobile phone, you’ll get a screen of game choice. Click on any of them, and you’ll be taking to either the iTunes or Play store to download that specific casino game app. Meaning if you want to try each mFortune slot, it means having to download a dozen or so apps on your phone. And, you can’t easily swap and change between the games either. The good thing about downloading a mFortune slot app game is that it has everything you need. From contacted customer service, to logging in using a pre-existing account, to depositing, withdrawing or getting a bonus. It’s all self-contained within a game, no need to go into the mFortune casino. More importantly, it makes these mobile casino games practically unbreakable. You need to be careful with your battery and data roaming (it can eat both of these up, but no more than say, Angry Birds, for example), but generally once you start spinning very little will make them stop. If you answer a phone call mid spin, or a calendar reminder pops up, the game will pause, and then play on from exactly where you left it. What are the best mFortune slots? Good question. They don’t have the biggest selection in the world, but they are releasing more and more each month. Meaning the collection keeps growing, so it’s hard to say for definitive which are the best. Generally though, mFortune casino games don’t provide what we’d call ‘Big Hit Games’. You know the ones. Video slots like Raging Rhino, or Microgaming’s Isis. The kind of games that eats your wallet and spits it out again, usually empty. But when it’s not empty, it’s gloriously full of the kind of wins that can change your life. Which is not really what mFortune provide. Sure, they have some good wins in there, but a big win would be maybe 200 times your bet, not 2,000 times your bet. That said, they have a good, fun, collection of slot games that we enjoy playing, especially when you’re out and about and need some quick spins. Plus, every one of their games is a a jackpot slot. And whilst they might not climb into the millions, a few thousand is always welcomed. Sweet King: 9 paylines of delicious bonus features and hectic wins. Fruit Machine: a classic 3 reel fruity that’s perfect for pub time fun. Quest for Fire: A strangely compelling 15 payline pre-historic game. And whilst we are all about the mobile slots games, we should also break convention and say that, if you love Bingo, Roulette or Blackjack, their casino games apps are smooth, beautiful, and effortless. But you didn’t hear that from us – we’ll be kicked out of the slot club.